Dimensions: 18.9 x 9.0 x 12.9 inches (L x W x H). Manufactured with quality standards and top end recyclable materials. Attractive design made of recycled corrugated cardboard. 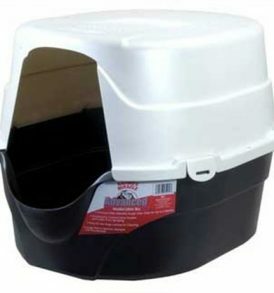 Large surface area to hold multiple or larger cats and provide generous scratching space. High quality corrugated paper production, Security testing, can bear the weight of 50kg. Durable construction and dense cardboard lasts longer than other scratchers. 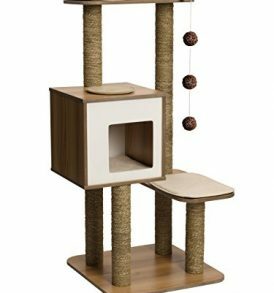 This Cat Scratcher Lounge serves double duty as both a cat scratcher and lounge that promises to keep your finicky companions coming back for more. Custom made for cats who enjoy scratching, playing and lounging around (what cats don’t :). Cats love the feel of cardboard, recalling their days as kittens and are natural scratcher. Cat Scratcher Lounge offers your cats a comfortable place to rest and scratch at the same time. Designed for owners looking to reclaim their homes. Finally a pet product with a stylish design that flows with your home decor. 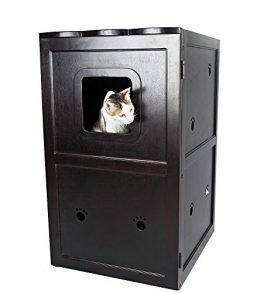 Instead of scratching your furniture, your cats will be more than happy to scratch the less expensive and better feeling cardboard. A win situation for all. Happier cat and owner guaranteed. No assembly required. All materials tested using international safety standards. The cat saw this cat scratch board will fondle admiringly, around it can sharpen my claws, the cat can also as bed rest, this is a great cat gift. 18.9" X 9.0" X 12.9"